Naxos and Amorgos are connected with frequent ferry itineraries during the summer season. 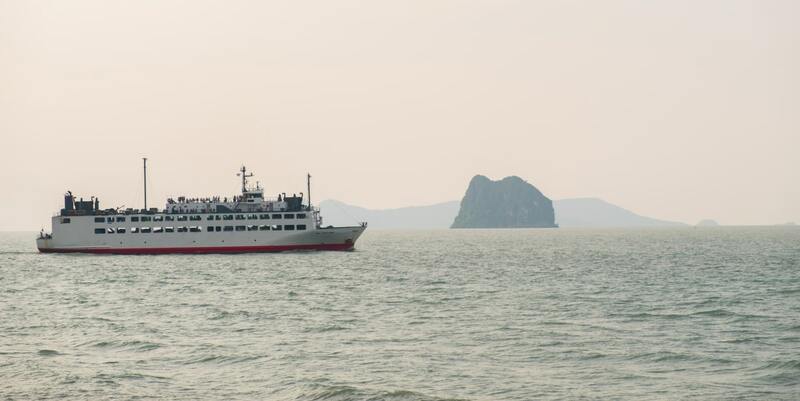 The distance between the two islands is approximately 35 nautical miles and the journey has an average duration of 2 hours, which mainly depends on the ferry operator and the weather. An average ticket price of the ferry connecting Naxos and Amorgos is about € 12. How long is the ferry ride from Naxos to Amorgos? The ferry trip from Naxos to Amorgos is a good opportunity to visit two of the most beautiful Greek islands. Depending on whether it is a conventional ferry or a high-speed one, the trip duration may be from 1 to 3 hours. During the summer there are many ferries connecting Naxos and Amorgos on a daily basis. There is the Blue Star Ferries serving the route Piraeus - Astypalaia every day, by passing from Paros, Naxos, Amorgos and Koufonisia. Due to the small distance, the prices for the simple passenger ticket are about 12 euros. The prices concerning vehicles are not very high. A medium-sized car costs about 30 euros for a simple transition, while the motorbike costs under 20 euros. The distance between Naxos and Amorgos is about 55 km or 35 nautical miles. How frequent are ferries from Naxos to Amorgos? You can find a ferry to take you from Naxos to Amorgos at any time, as schedules are performed on a daily basis. In high-season, there will be at least 2 ferries per day departing during morning and afternoon hours. During winter months where traffic on Naxos island is substantially lower, only one or two ferries operate on a daily basis on this crossing. Amorgos has two different ports: Aegiali and Katapola. Be sure to know which is your port of departure/arrival. The port of Naxos can become very crowded during August, and multiple ferries can arrive/depart at the same time. Make sure to be there on time, and ask the port authorities personnel for information regarding your ferry. If you are visiting Heraklion for more days and you do not want to spend a fortune on accommodations, you should definitely book a place to stay as early as possible; at least 4-5 months in advance. Island hopping around Naxos is always a great idea! Check our Ferry Map to discover nearby islands.